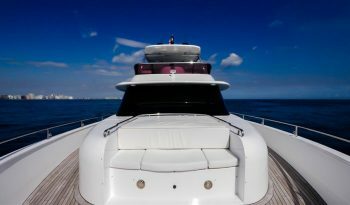 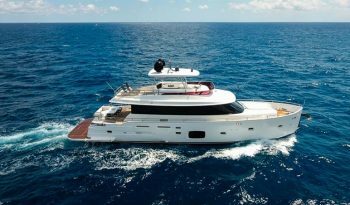 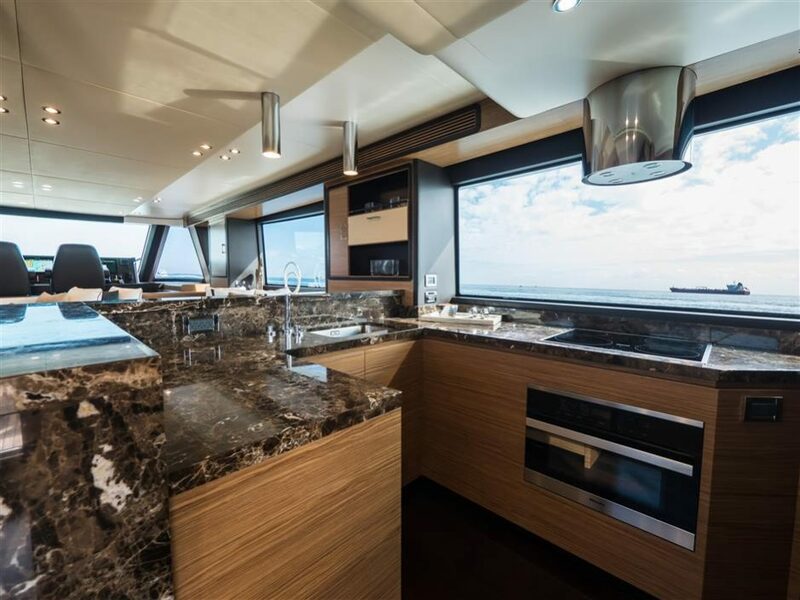 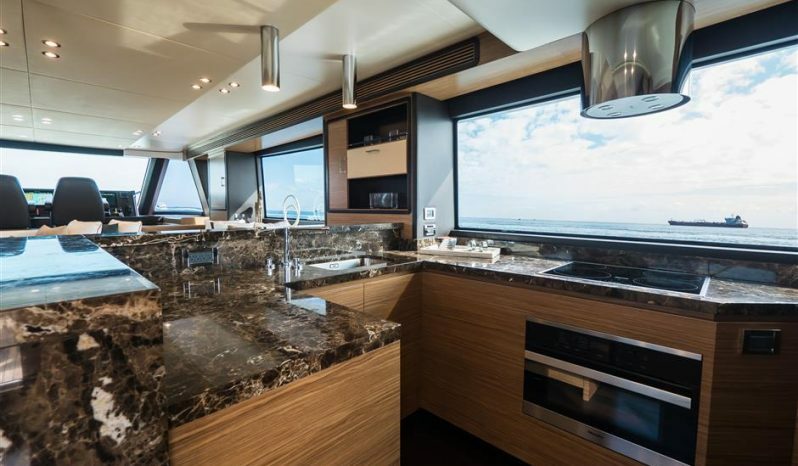 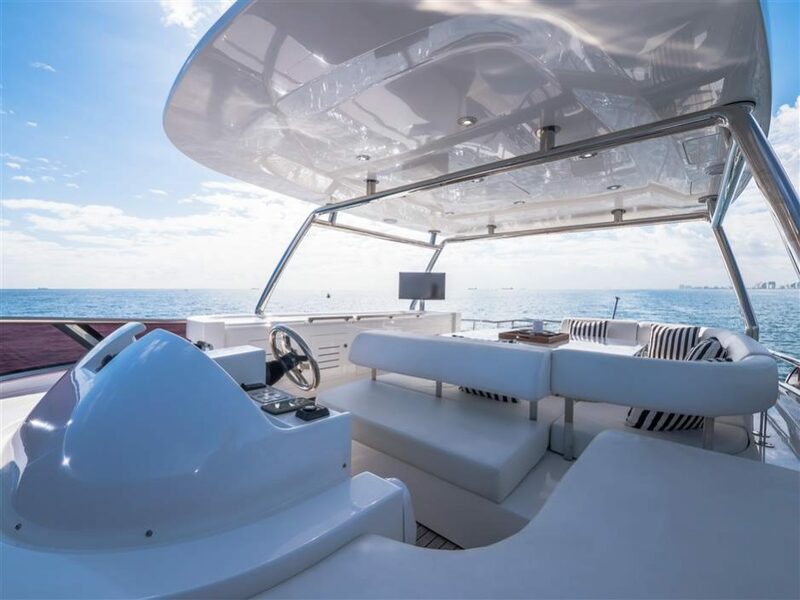 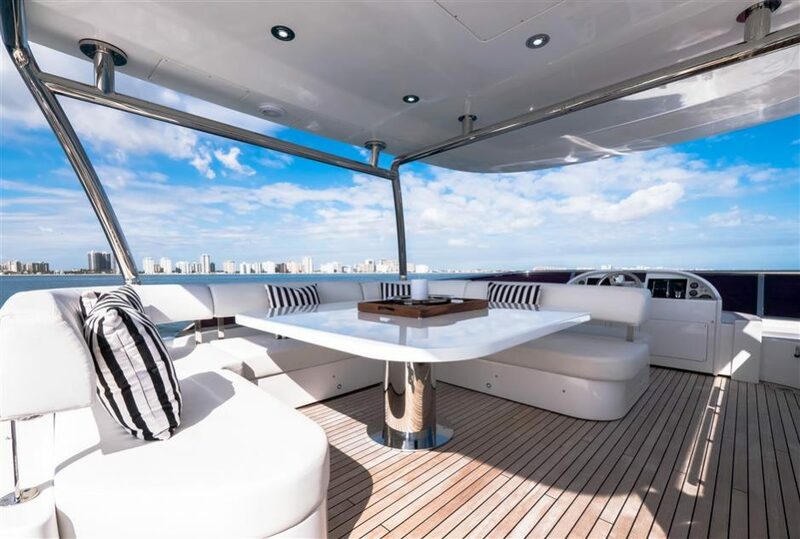 This 2016 Azimut 76 Magellano is the trawler redefined. 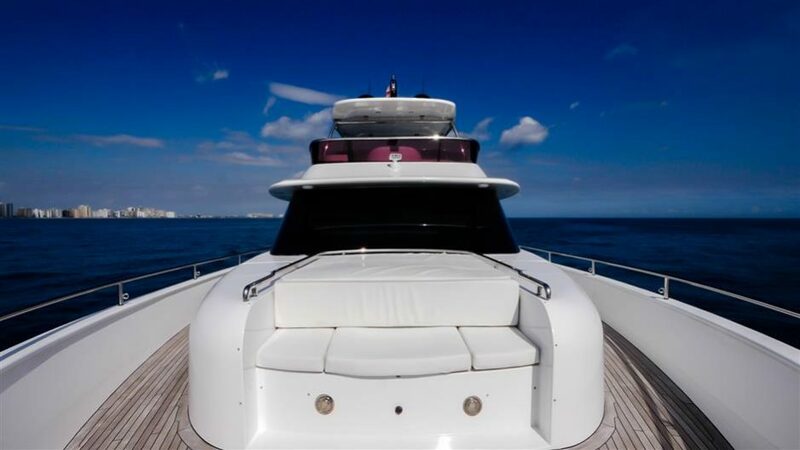 Featuring Azimut’s unique styling and finshes, this long-range cruiser is the ultimate in comfort and luxury. 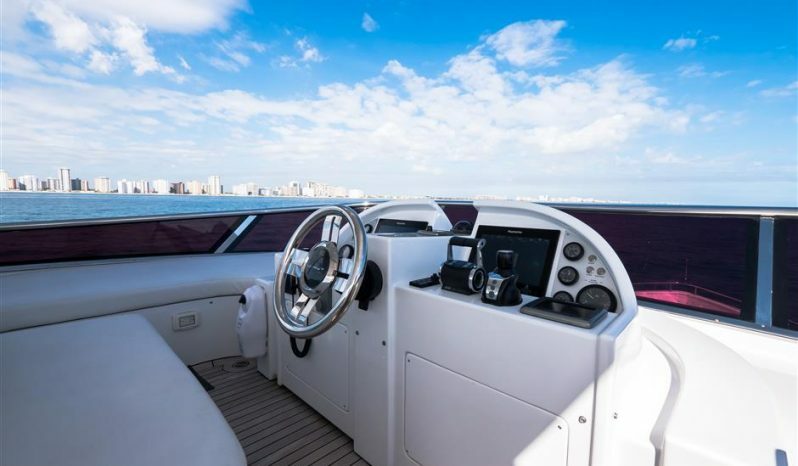 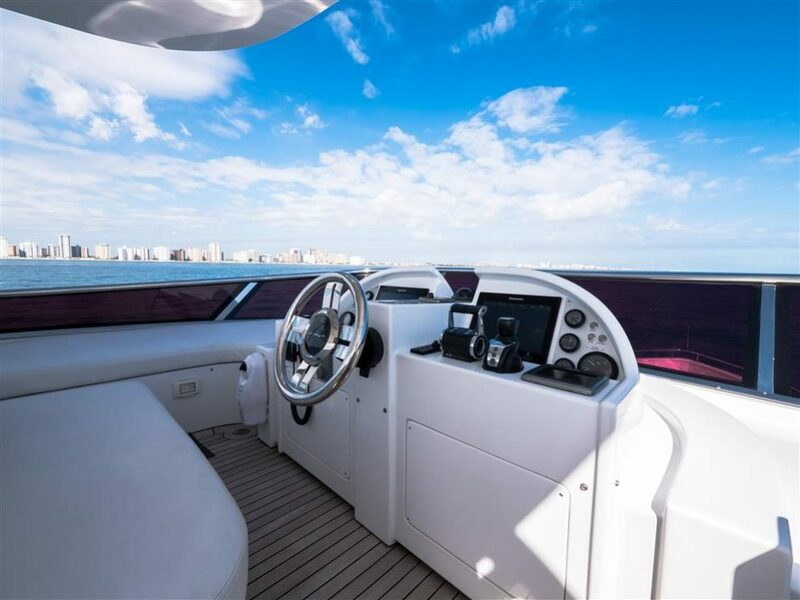 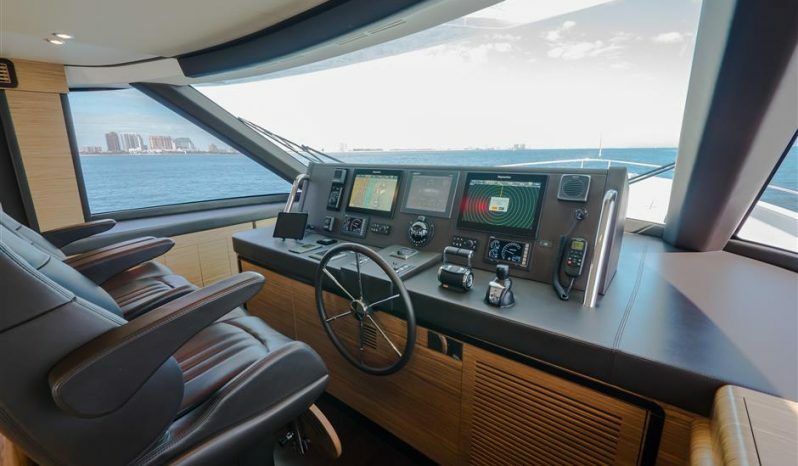 Captain-maintained since new, she features twin MAN engines with only 502 engine hours. 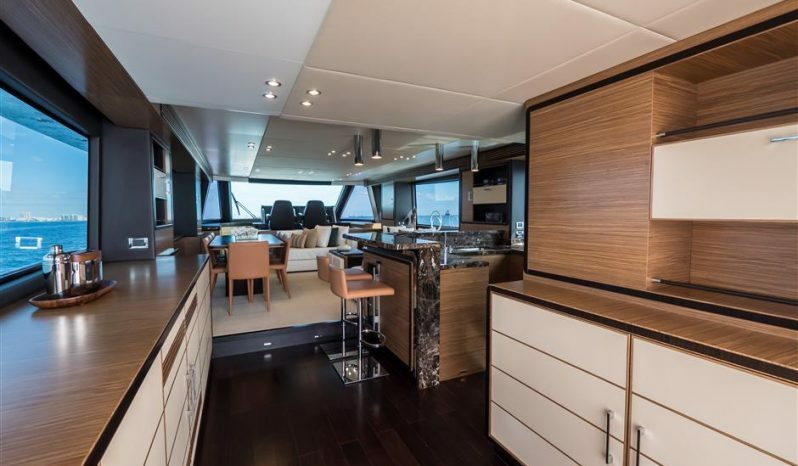 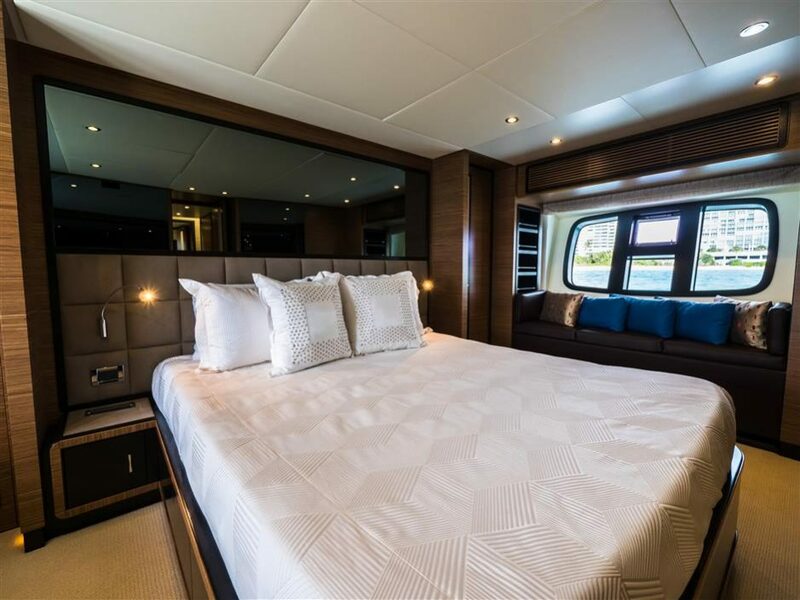 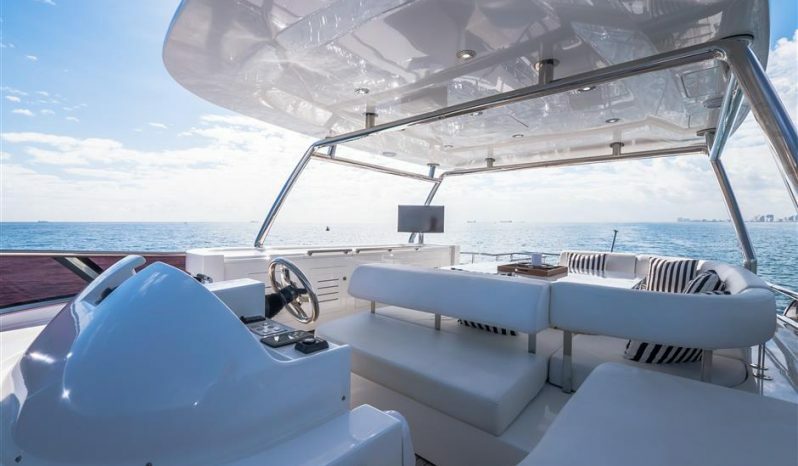 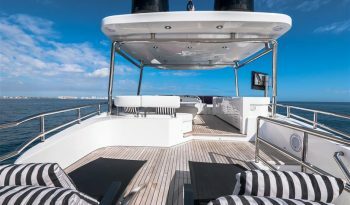 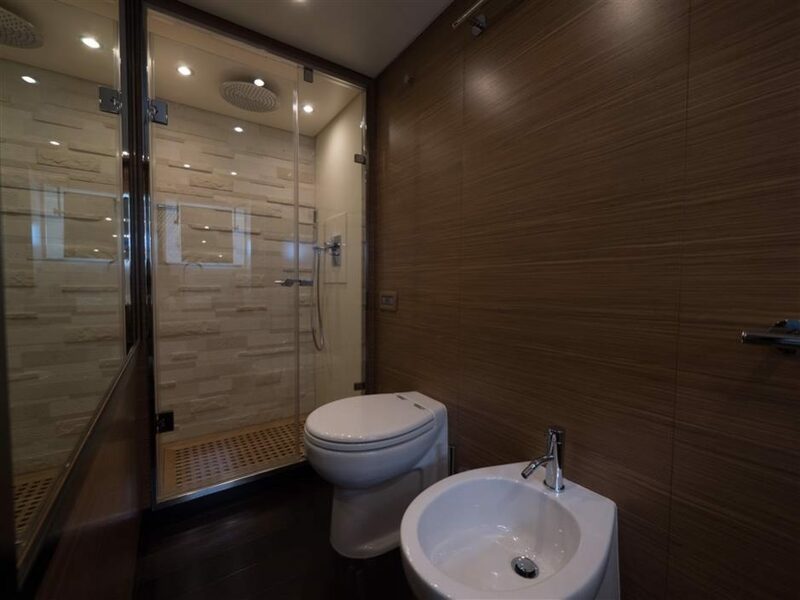 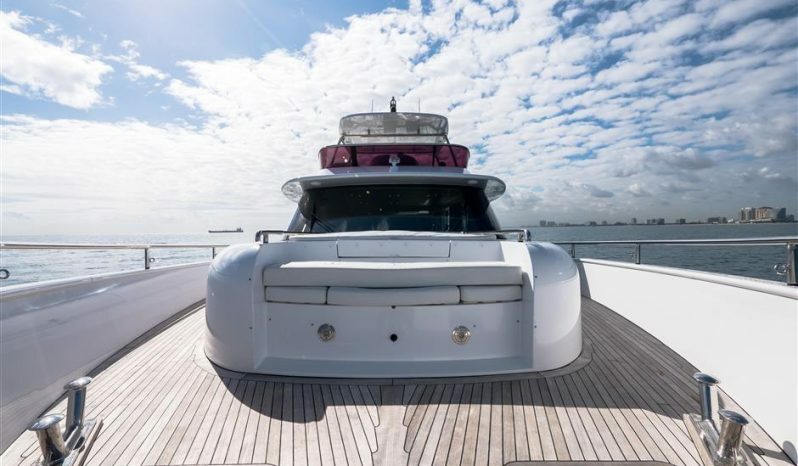 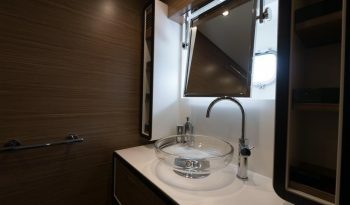 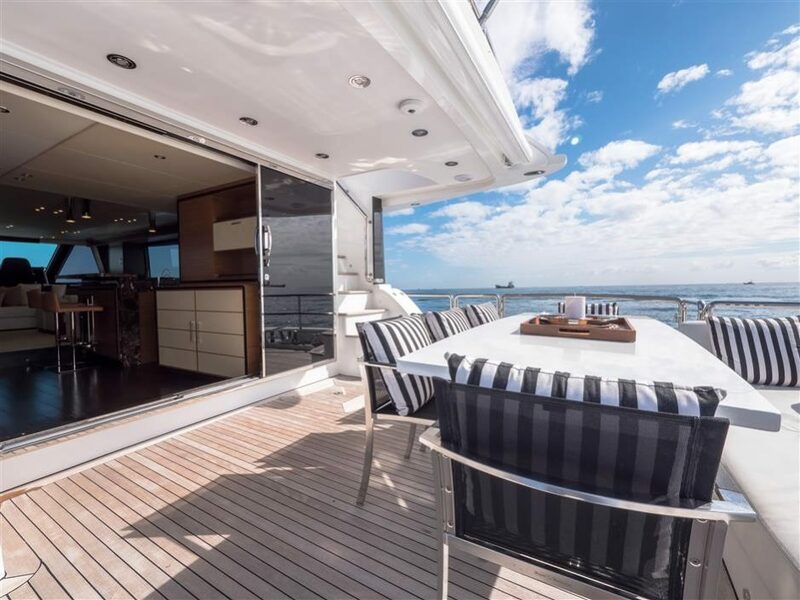 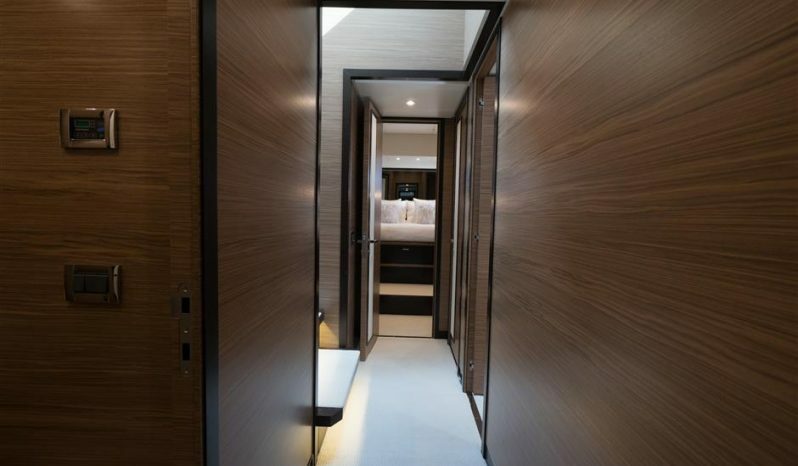 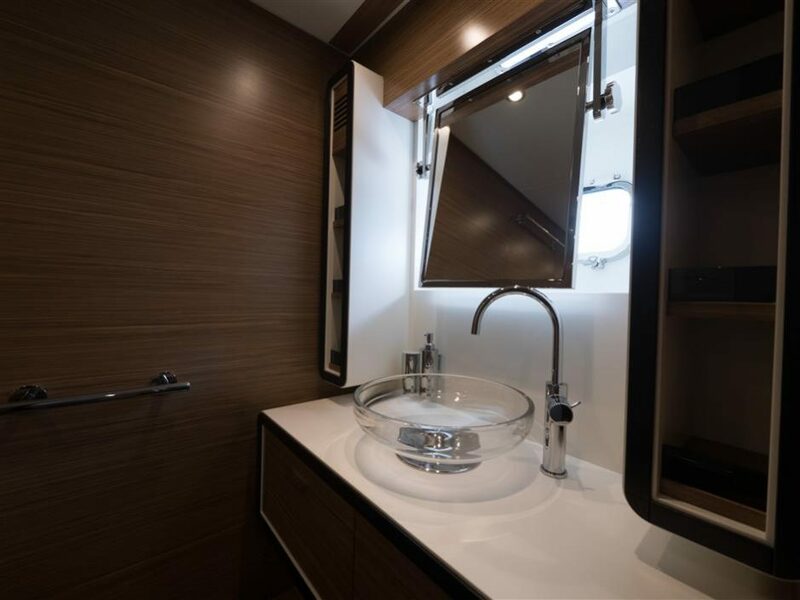 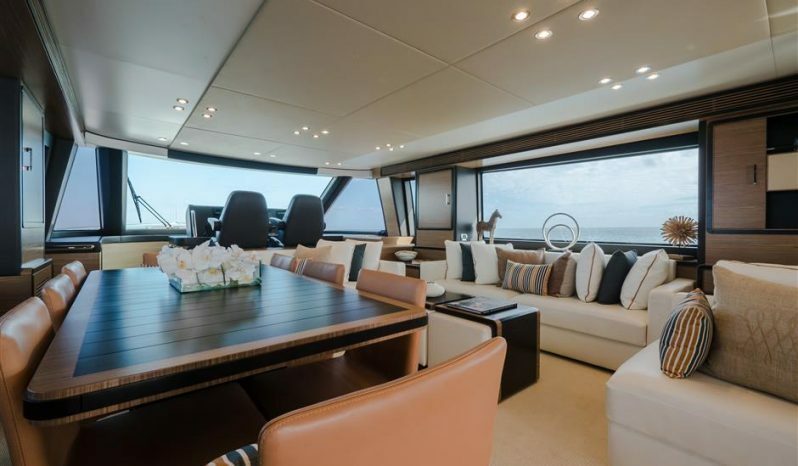 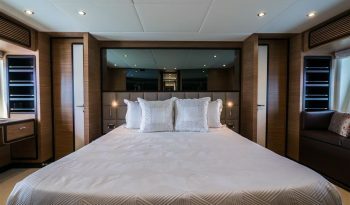 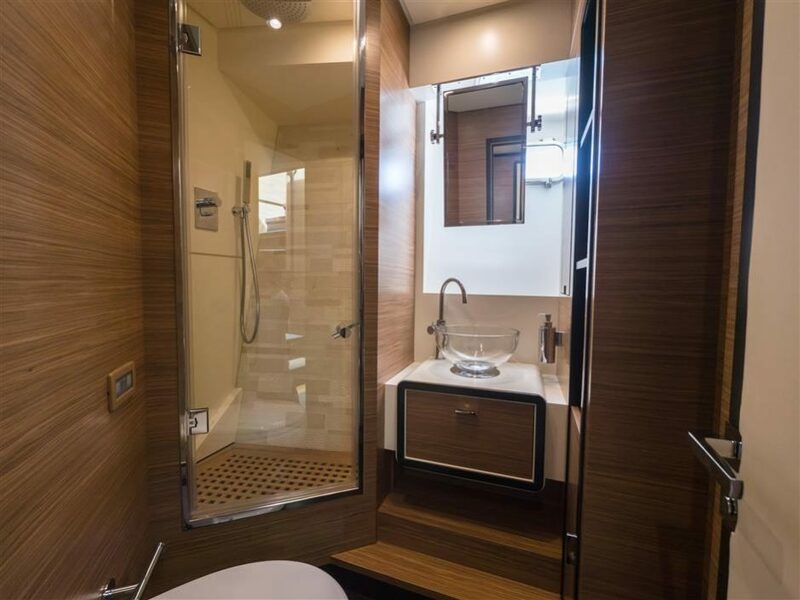 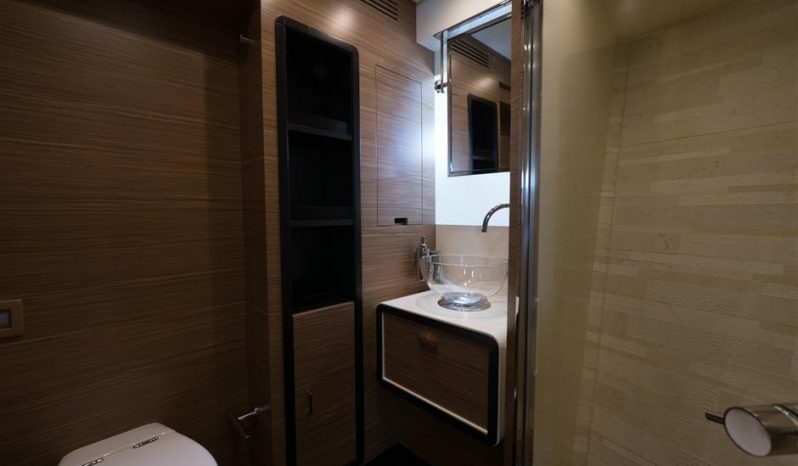 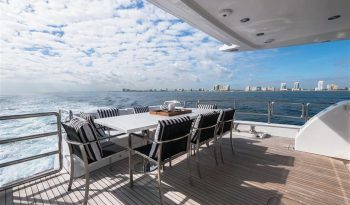 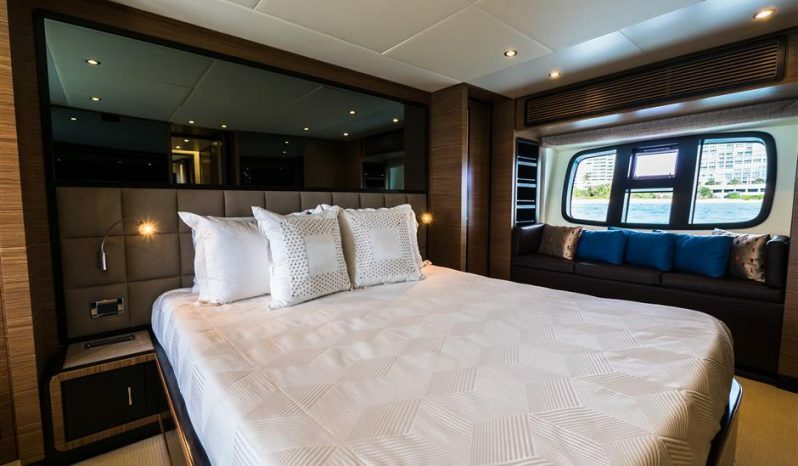 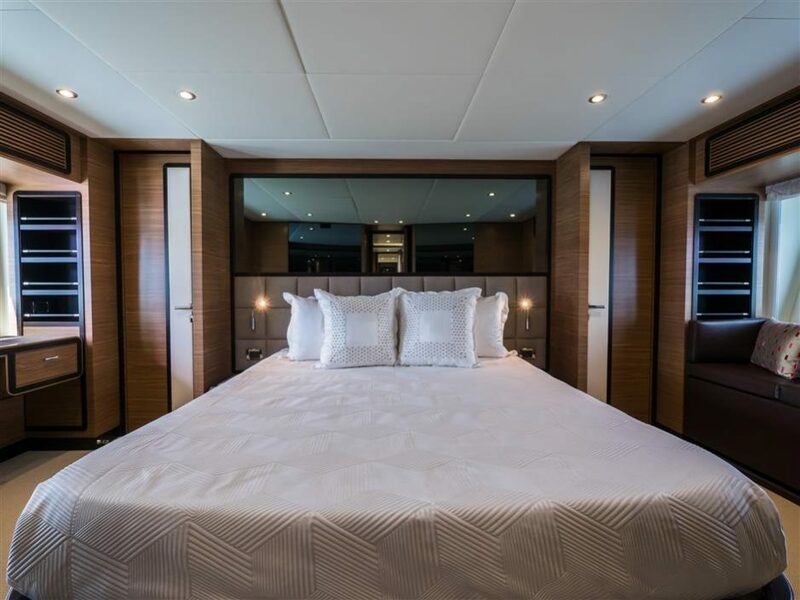 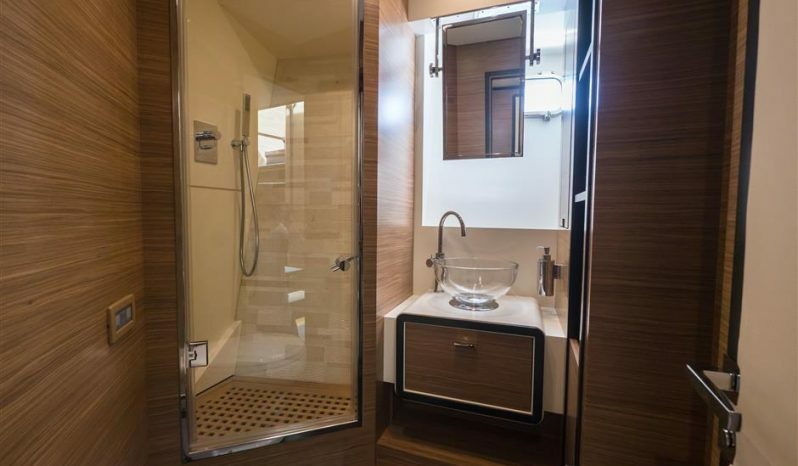 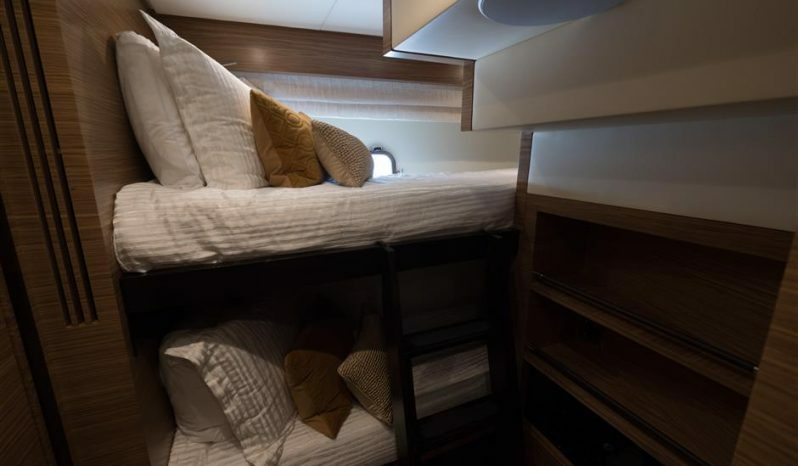 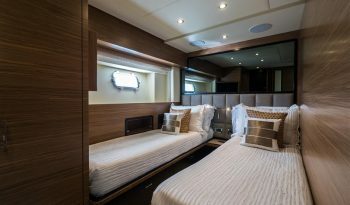 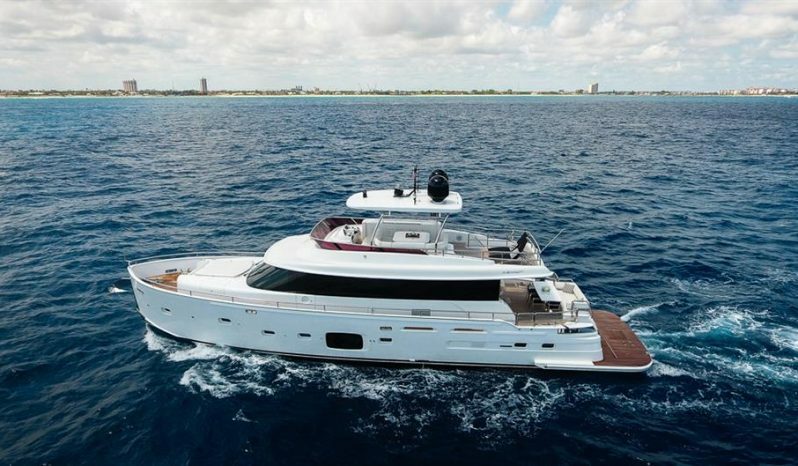 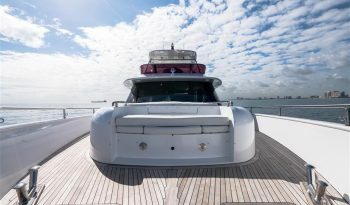 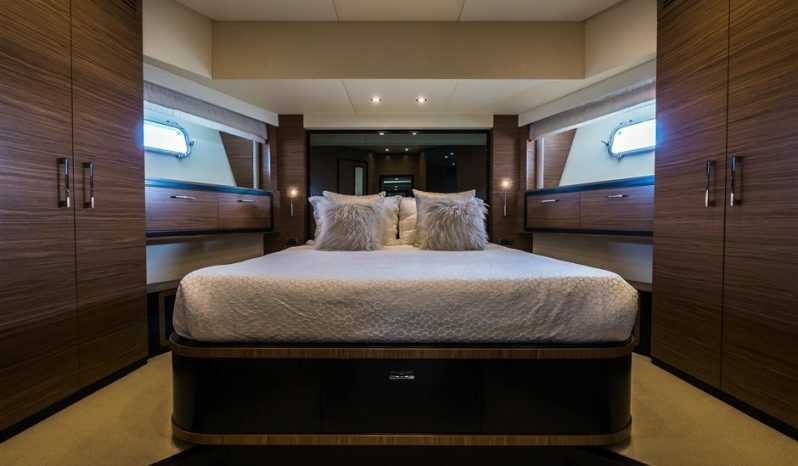 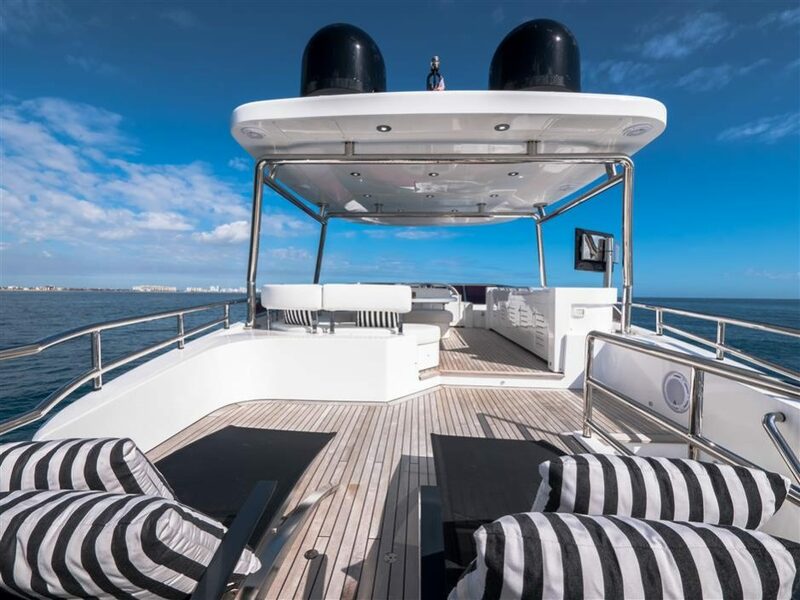 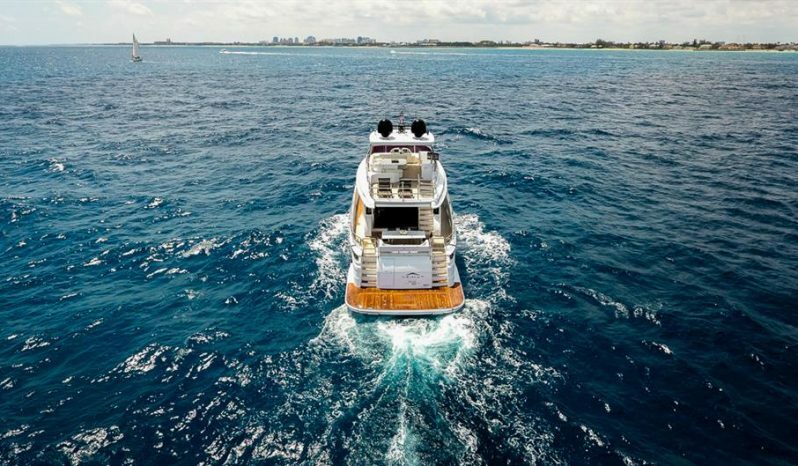 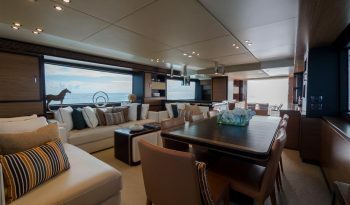 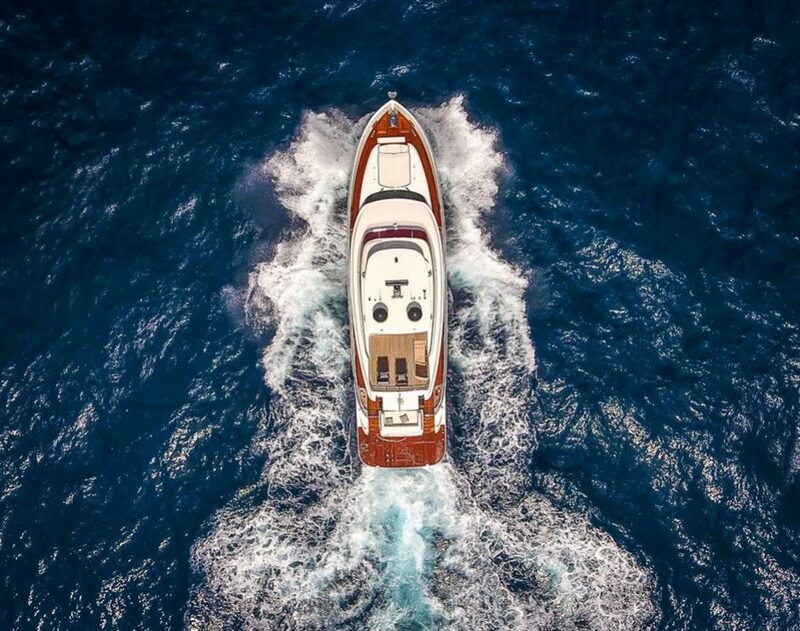 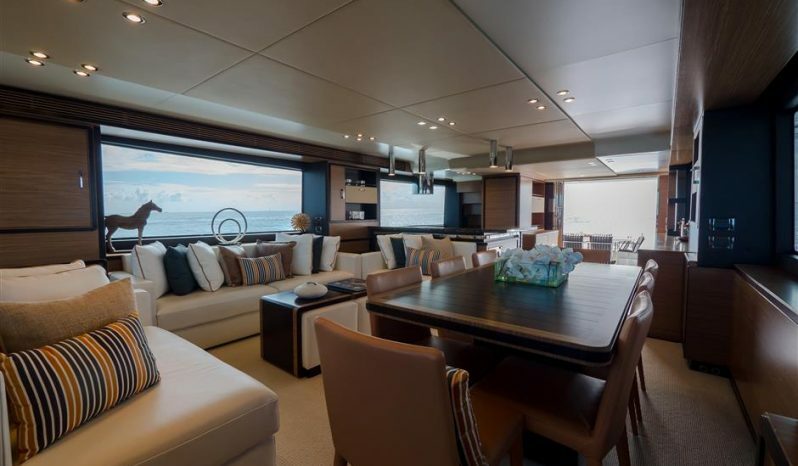 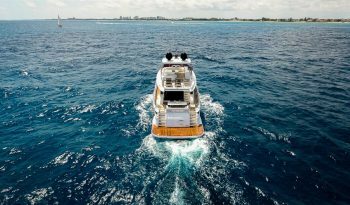 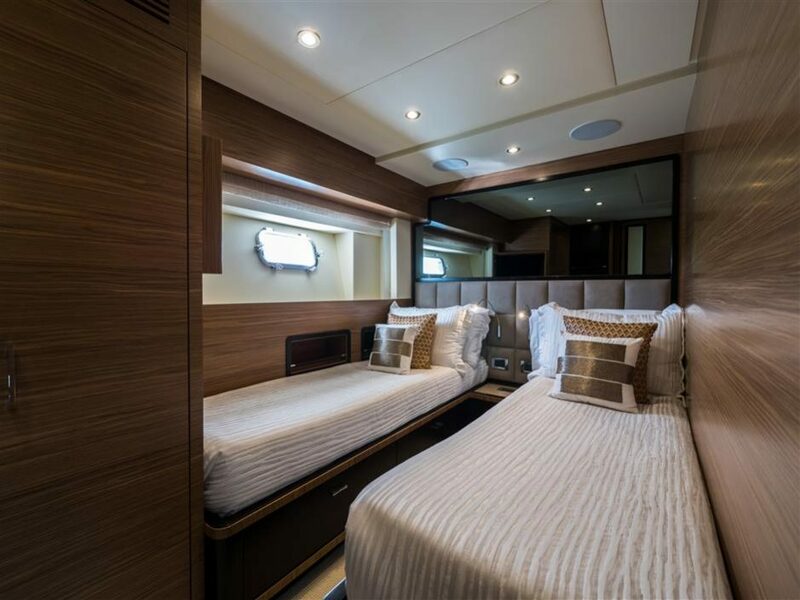 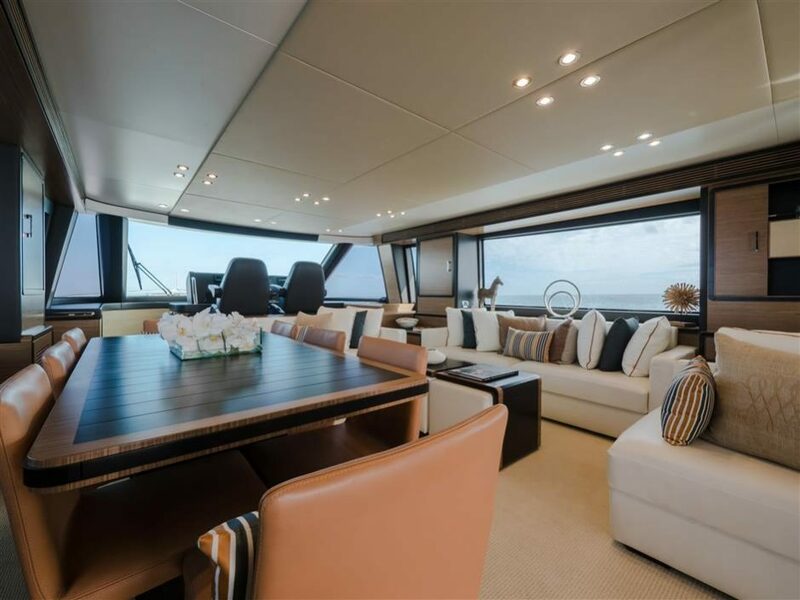 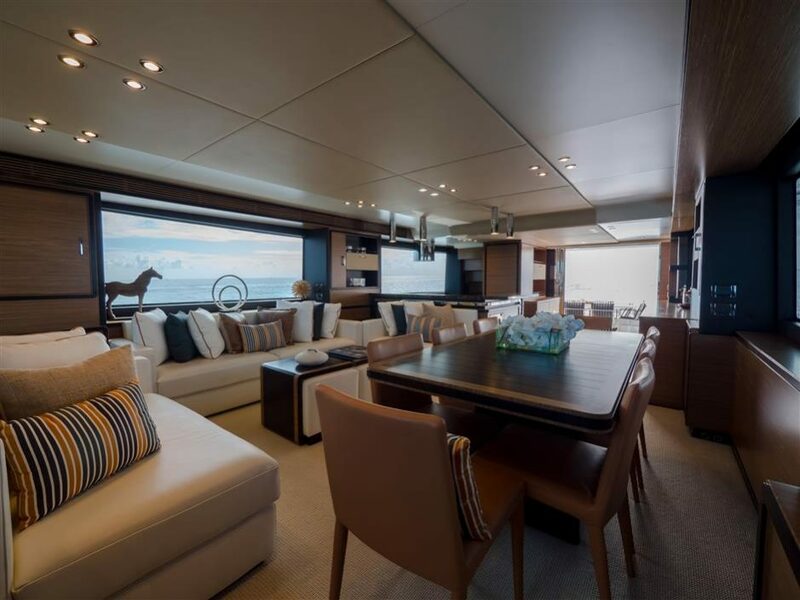 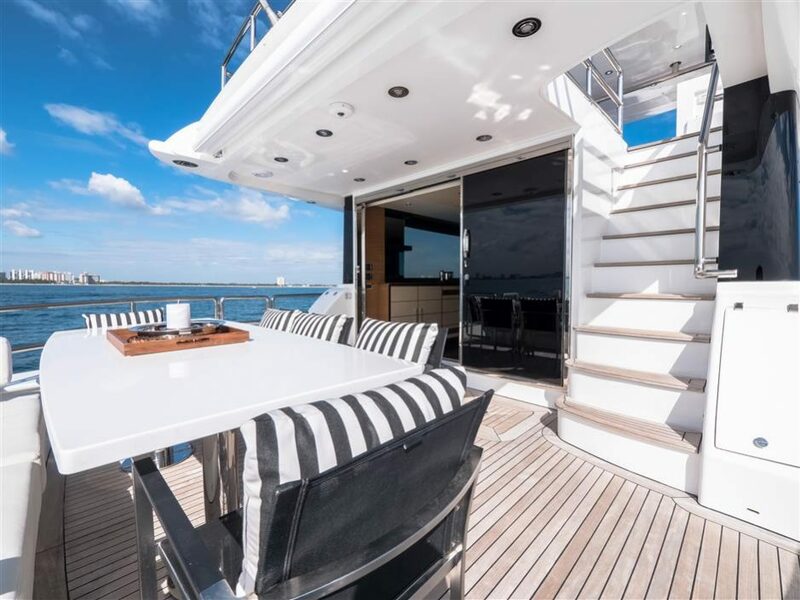 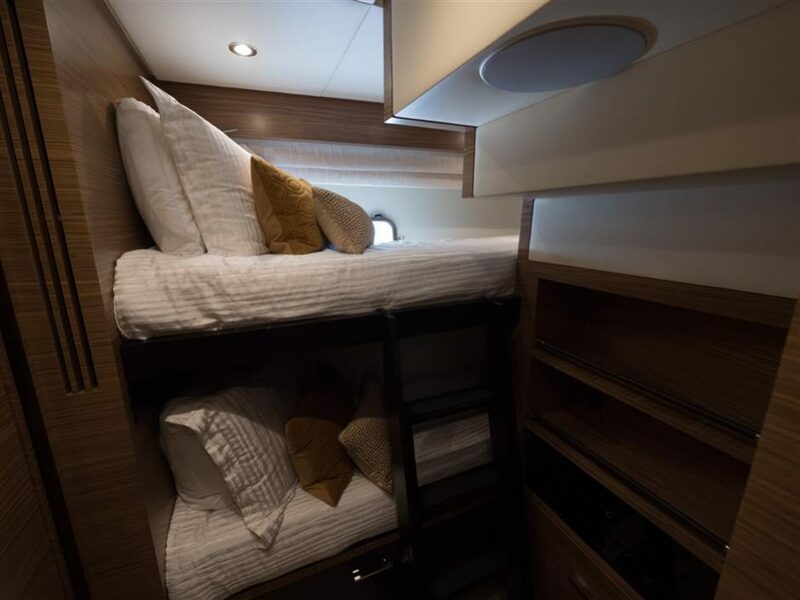 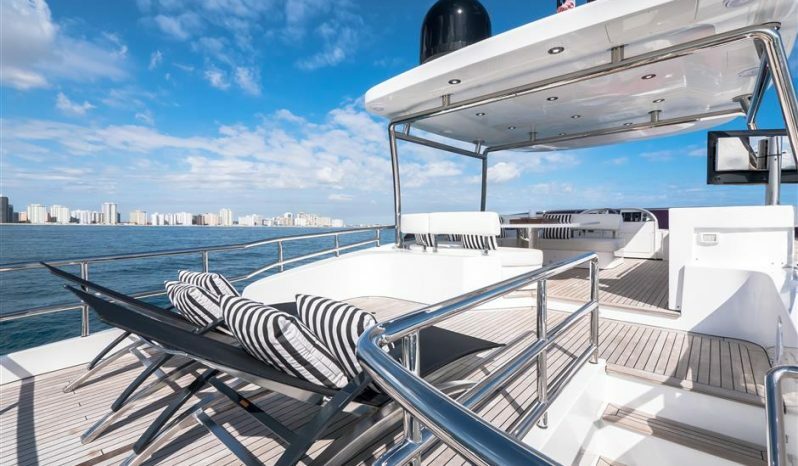 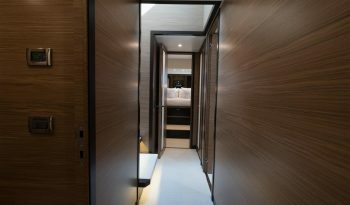 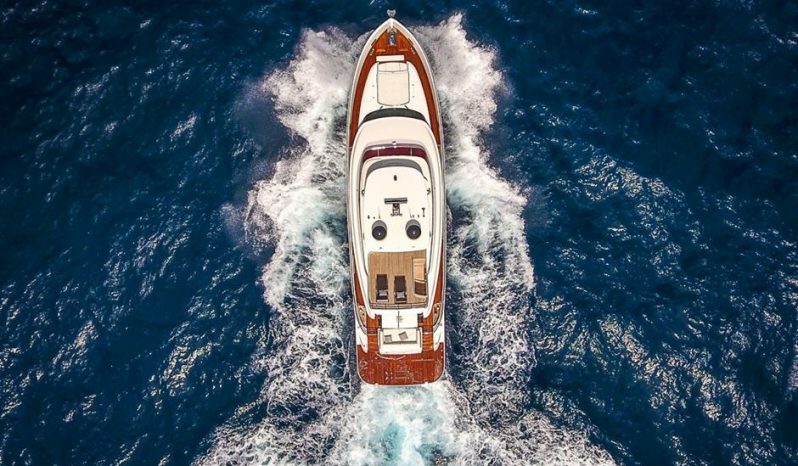 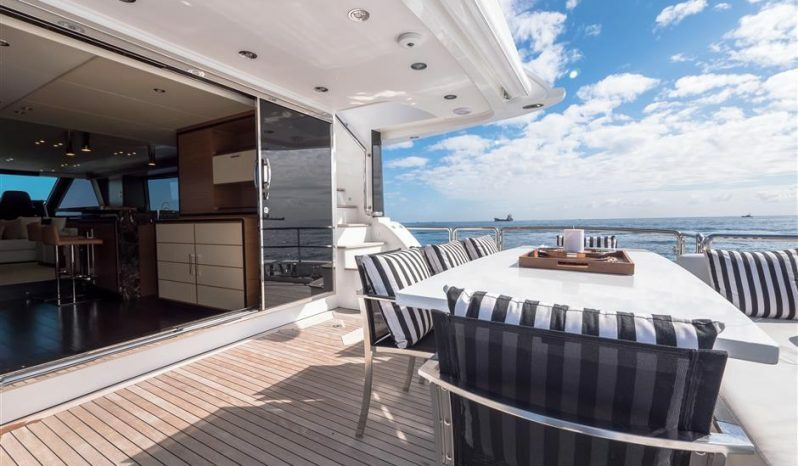 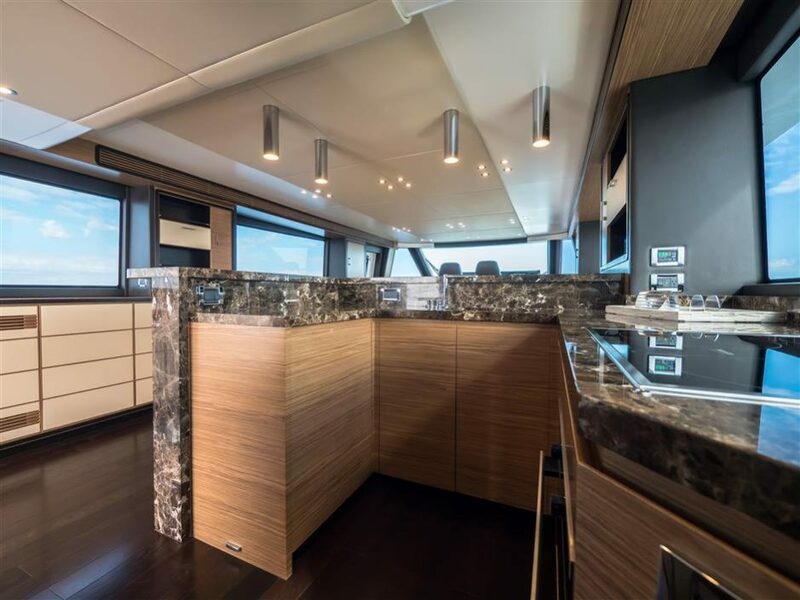 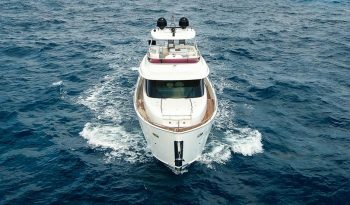 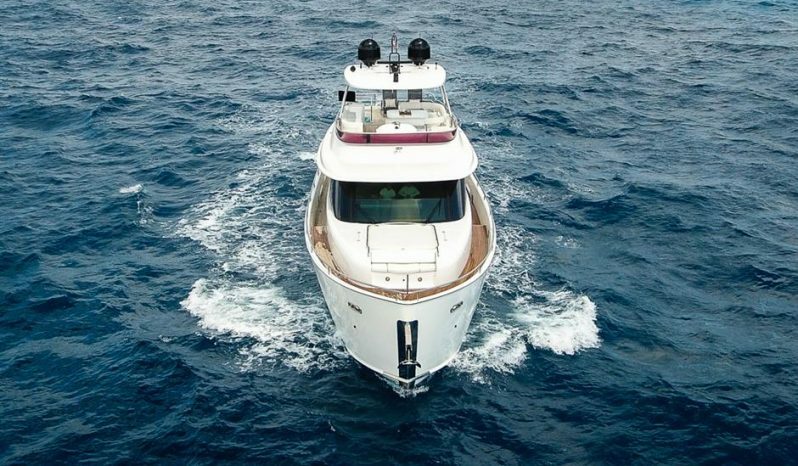 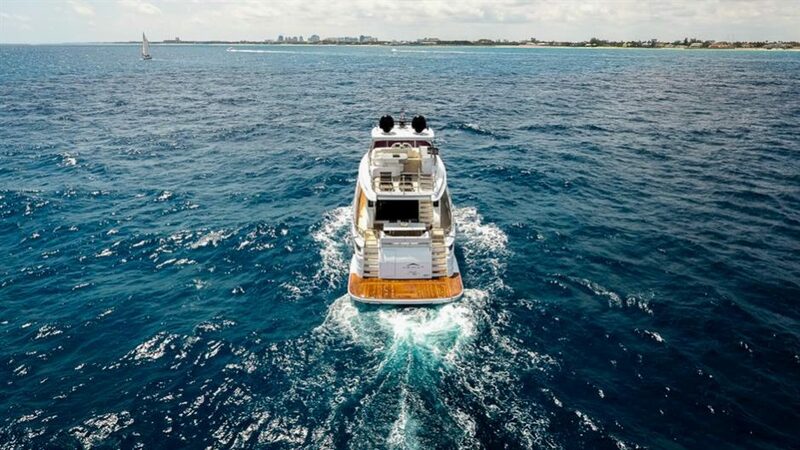 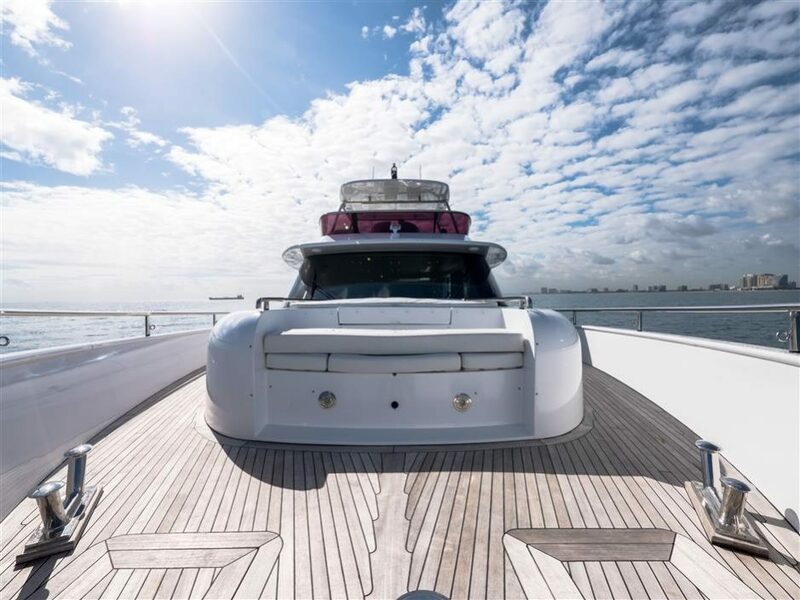 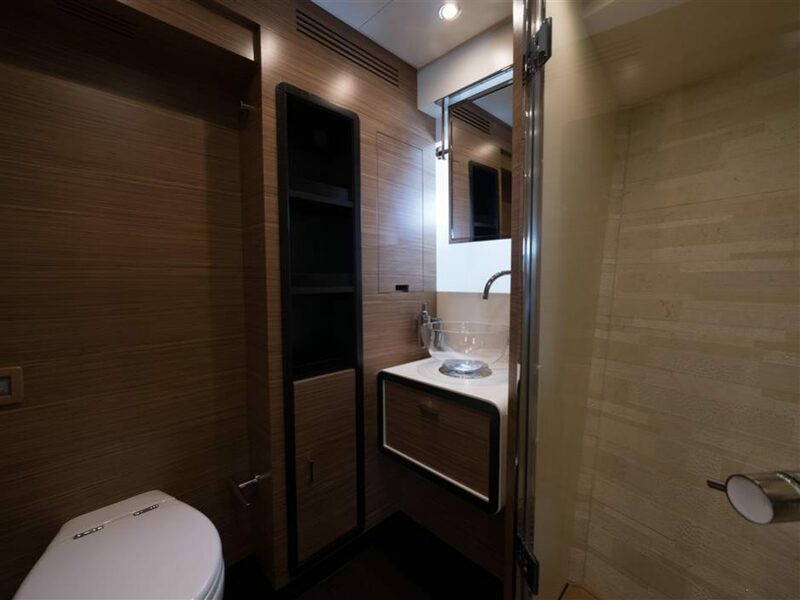 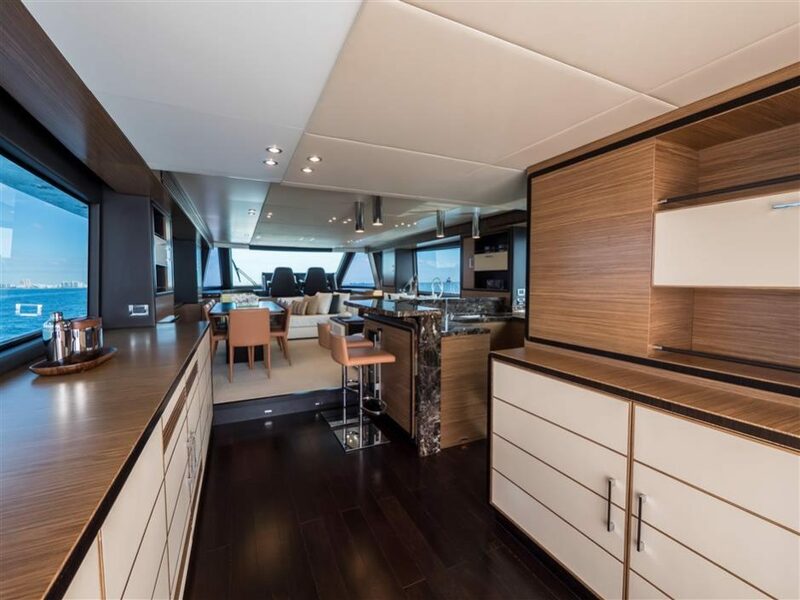 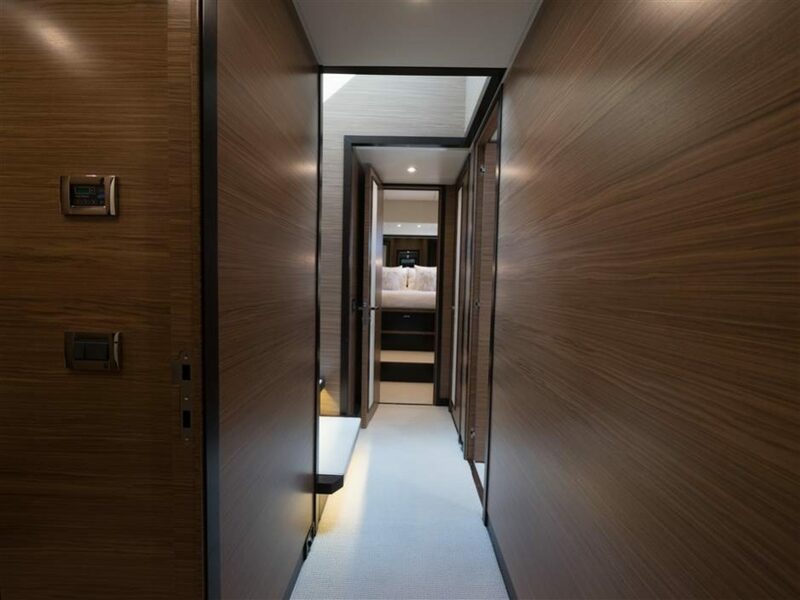 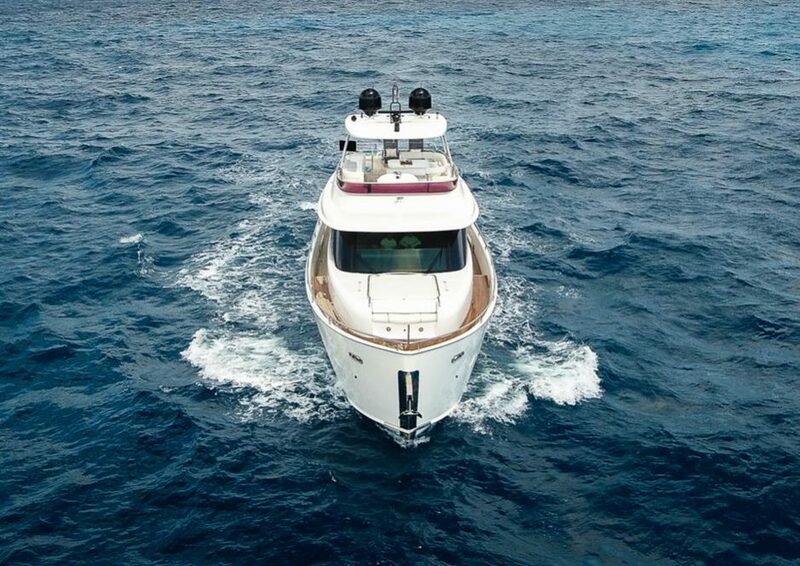 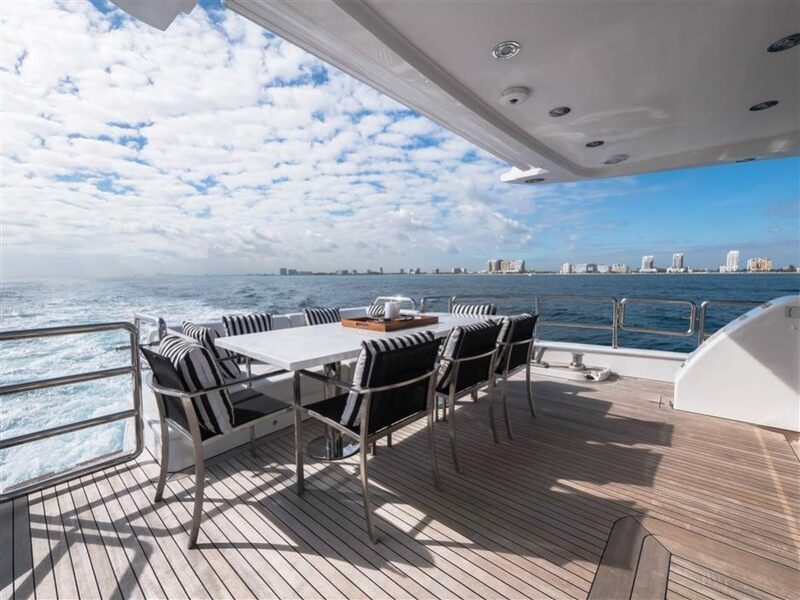 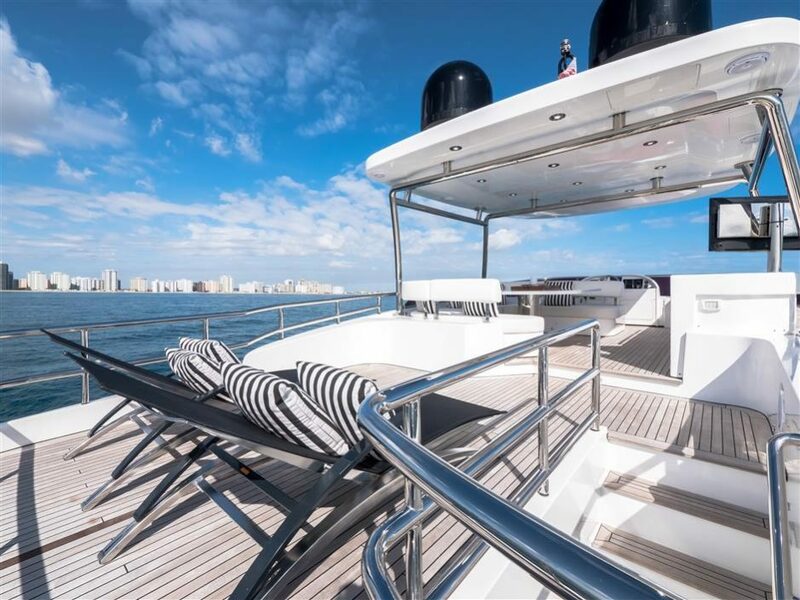 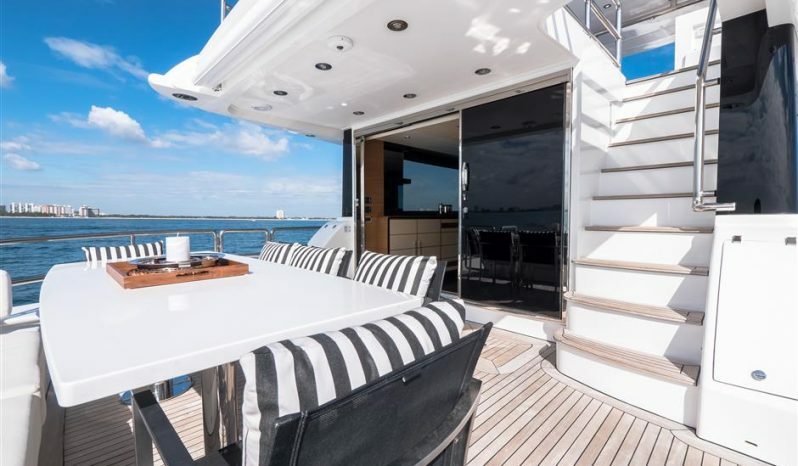 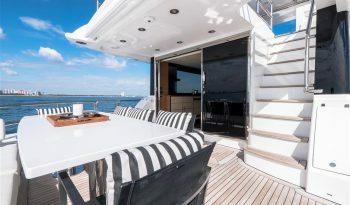 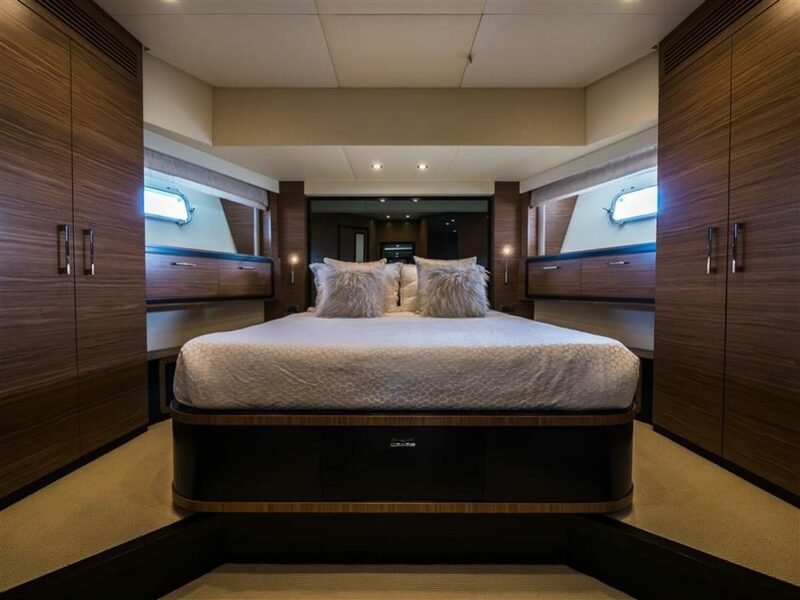 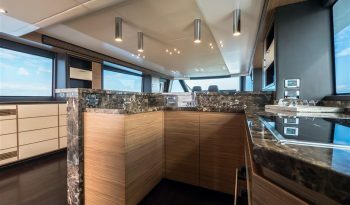 Options include Seakeeper Stabilizer, Hydraulic Stern Thruster, (2) Glendinning CableMasters, video-cameras in cockpit and engine room, electric awning in aft cockpit, underwater lighting, teak flooring on flybridge, and wooden floor in entry lobby and wheelhouse. 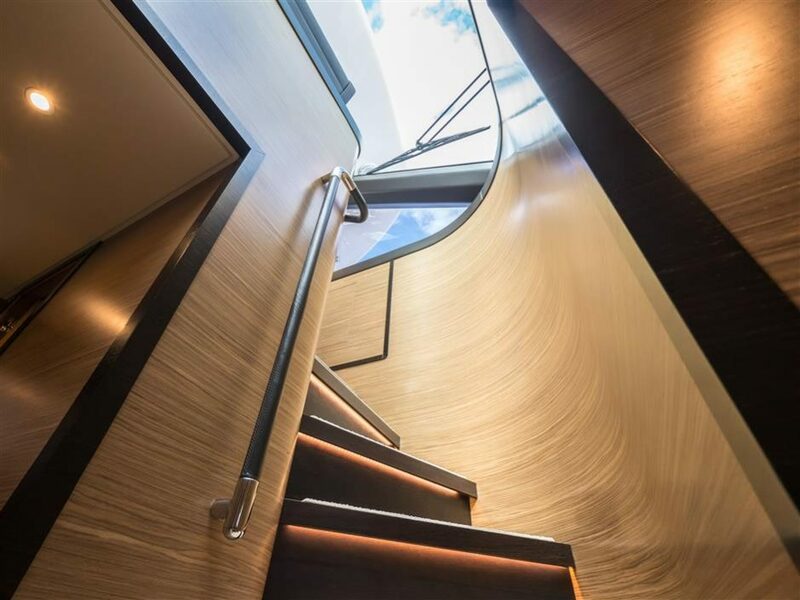 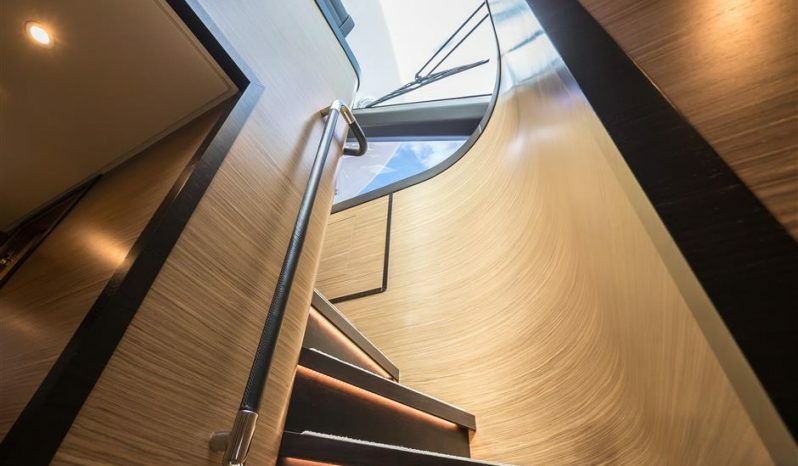 The wide flybridge is accessible through the external GRP staircase with teak steps and stainless steel handrail. 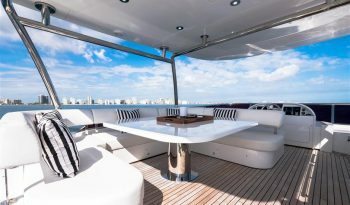 -teak table with stainless steel base offering 8 seats. Copes for protecting the dashboard, dining table, pilot settee and C shaped dining bench. 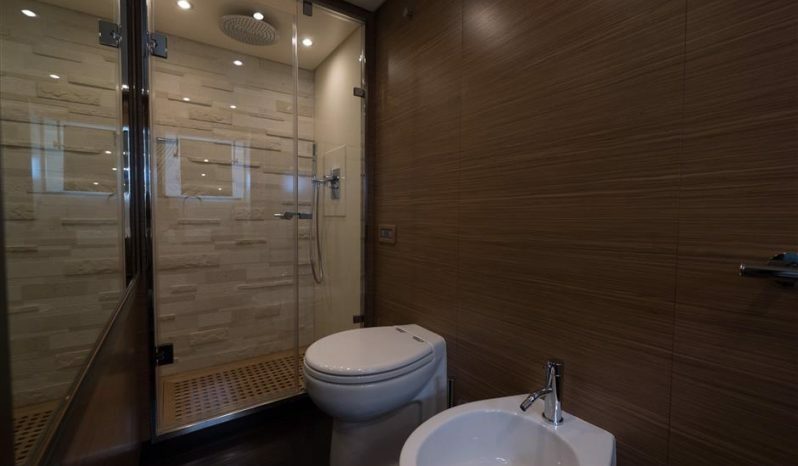 Windows in high thickness tempered glass and glued to the superstructure without metal frames. Side door for the access to the helm station on the port-side. Covers for sofa and sunbathing cushions. 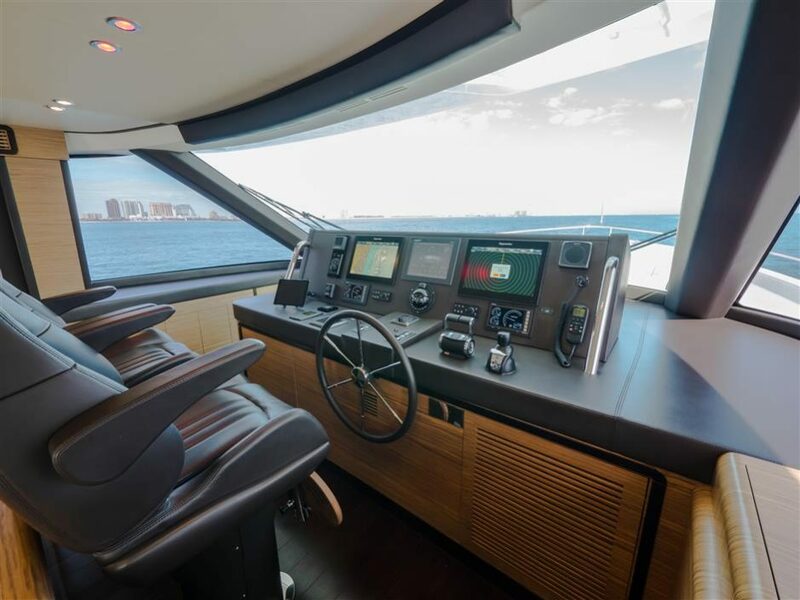 All equipment has ground junctions with adequate cords and braiding of copper with proper cross section.